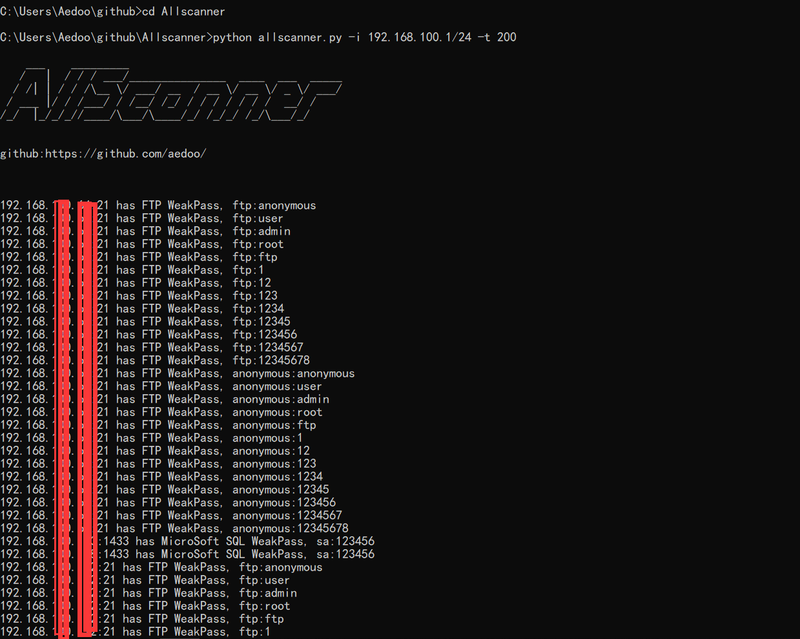 GitHub - aedoo/Allscanner: 数据库和其他服务的弱端口的弱口令检测以及未授权访问的集成检测工具。 Weak password blasting of weak ports and integrated detection tools for unauthorized access. 数据库和其他服务的弱端口的弱口令检测以及未授权访问的集成检测工具。 Weak password blasting of weak ports and integrated detection tools for unauthorized access. Want to be notified of new releases in aedoo/Allscanner? 弱端口的弱口令爆破以及未授权访问的集成检测工具。 Weak password blasting of weak ports and integrated detection tools for unauthorized access.